The staff was incredible. I had an issue with air conditioning that was fixed immediately. 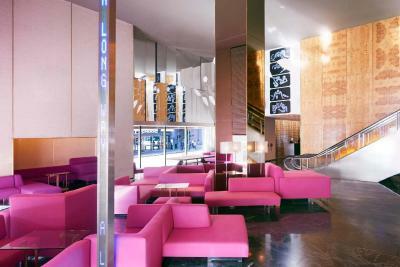 Everyone there from the servers in the restaurants to the house cleaners to valet was beyond helpful and accommodating. 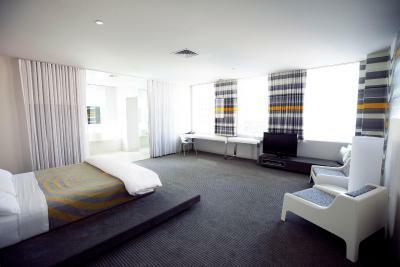 They have 24 hr room service/restaurant and the food was great (I did not get a chance to try the food on the rooftop). If you forgot anything they had it either complementary or in their fully stocked min-fridge/bar. 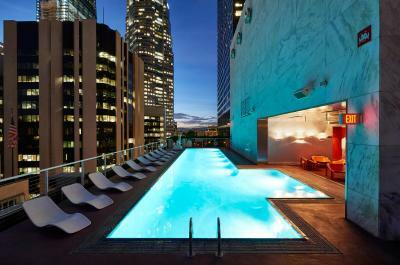 Great location, clean nice rooms, and a fun rooftop bar and pool. 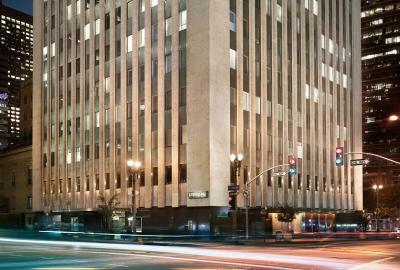 Easy to walk around downtown, and centrally located for getting to other spots in LA. 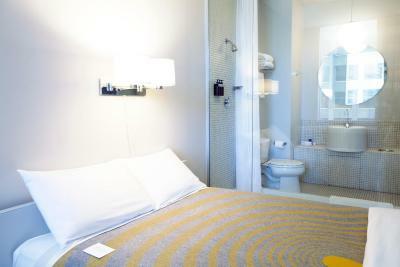 Comfortable bed, nice shower, good amenities. Everything was excellent! 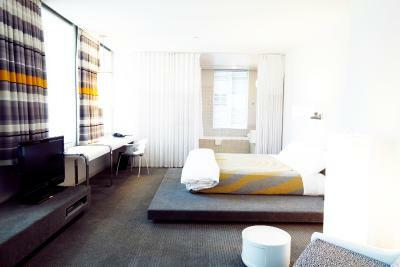 I usually stay at The Standard on Sunset, so this was my first time at the DTLA sister hotel, and definitely not the last. The manager upgraded us to a larger room - and it’s probably the biggest in LA. Everything was amazing - from staff to hotel vibes, and the pool is a must hangout. Definitely a favorite! Our room was no cleaned on our second night when returned to the hotel late in the afternoon. Called to front desk and told them my mother needed to rest could they sais they would come in a hour. They came 5 minutes later and i explained my mom was resting and asked they return in an hour. They never came back. Called one morming for coffee and was told we would have to wait 30 minutes just for coffee. 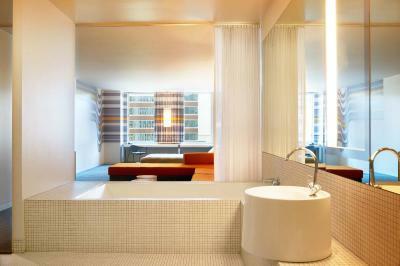 The view is amazing, the room was spacious and had an attractive minimalist design, the large bathtub was amazing. The Standard, Downtown LA This rating is a reflection of how the property compares to the industry standard when it comes to price, facilities and services available. It's based on a self-evaluation by the property. Use this rating to help choose your stay! 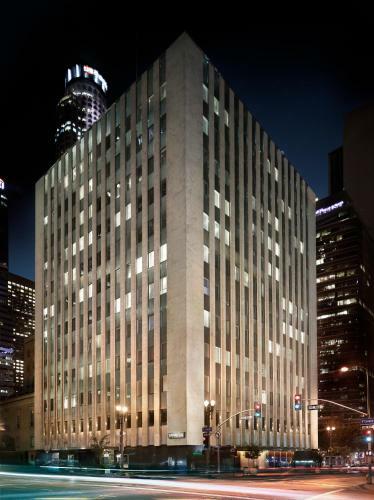 One of our top picks in Los Angeles.Located in downtown Los Angeles, this unique and minimalistic hotel is 4 blocks from the Walt Disney Concert Hall. It features a rooftop pool and rooms with an iPod docking station. 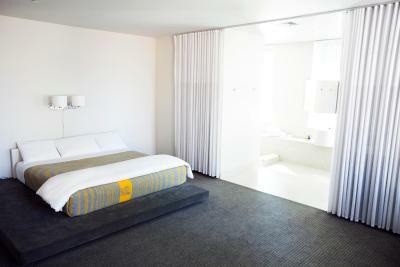 The Standard, Downtown LA offers modern rooms with a glass walk-in shower, mini-bar and air conditioning. 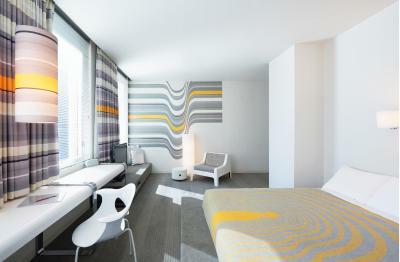 Each room has a cable TV, DVD player and free Wi-Fi. 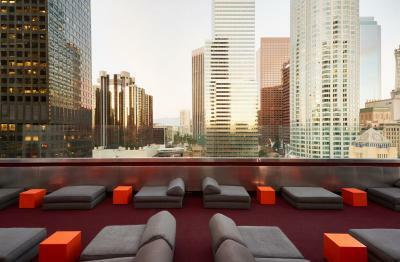 The rooftop pool and sundeck features waterbed cabanas and a poolside bar with nightly DJs. 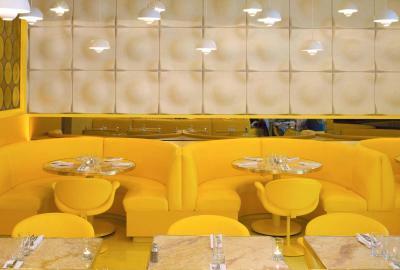 The Standard Restaurant is open 24/7 and serves American cuisine. 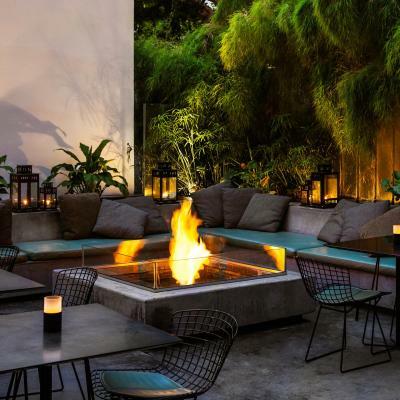 Guests of Downtown LA’s Standard Hotel can enjoy an outdoor lounge with fire pit, foosball table and ping pong table. Los Angeles Museum of Contemporary Art is less than 1 mi from The Standard and Dodger Stadium is 3.8 mi away. The hotel is 18 mi from Los Angeles International Airport (LAX). 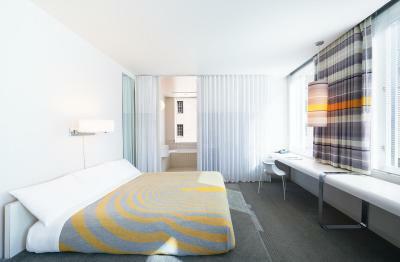 When would you like to stay at The Standard, Downtown LA? 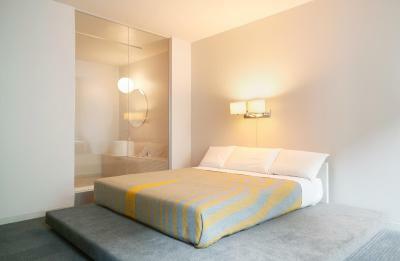 This room includes a walk-in glass shower, iPod docking station and cable TV. 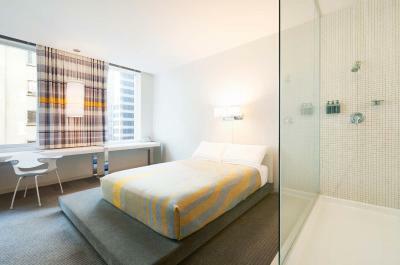 This room features a glass walk-in shower and a large 14-foot work desk. 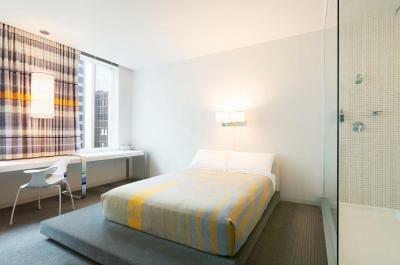 Featuring high-speed WiFi, this spacious room features an open room with soaking tub, seating area and walk-in closets. Tall windows offer tons of natural lighting. A spacious work desk is also provided. 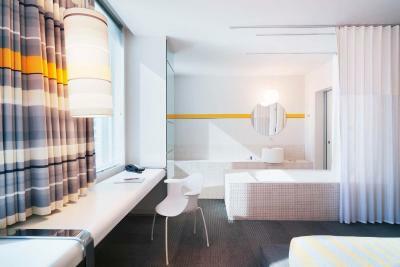 Featuring high-speed WiFi, this spacious corner room features an open room with soaking tub, seating area and walk-in closets. Tall windows offer tons of natural lighting. A spacious work desk is also provided. 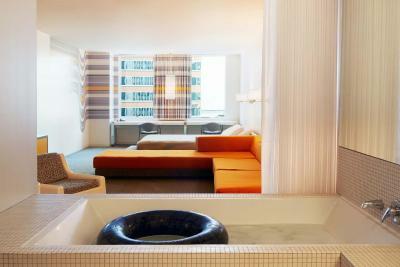 This spacious corner room features a large walk-in shower, soaking tub and separate seating area. Tall windows offer tons of natural lighting. 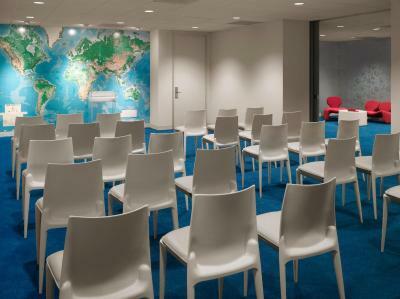 A spacious work desk and high-speed WiFi are also provided. This suite comes with high-speed WiFi. 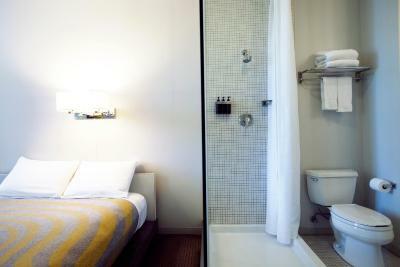 Guests can enjoy the over-sized bathtub for two and large shower. 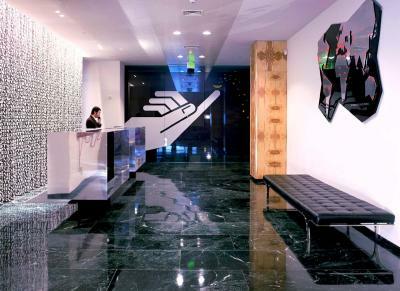 The lounge area is equipped with an L-shaped sofa, art installation, and spacious work desk. 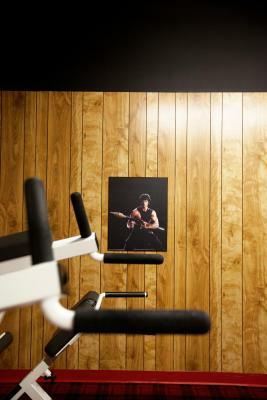 House Rules The Standard, Downtown LA takes special requests – add in the next step! 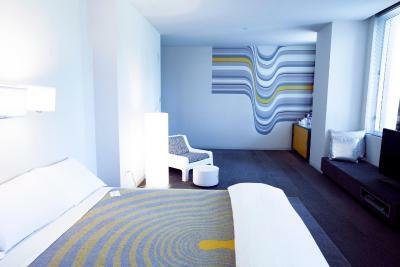 The Standard, Downtown LA accepts these cards and reserves the right to temporarily hold an amount prior to arrival. Bookings of 10 or more rooms require full pre-payment at time of booking and 14 days cancellation period, other policies may apply. 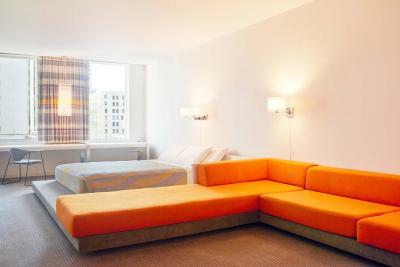 Rooftop access for registered hotel guests is guaranteed between 07:00 and 20:00 daily. The Rooftop Bar opens and food service begins at noon. Hours are subject to change due to private events. The dress code for The Rooftop is at management discretion and is enforced after 19:00. No casual shorts, flip flops, athletic apparel, team logos or sports hats. No sports jerseys at any time. For information regarding our special events and late night programing please visit our website Happenings page which will provide event and ticket information. When tickets are not available for purchase, we enforce a discretionary door after 20:00. The place is quite frankly kind of a dump. 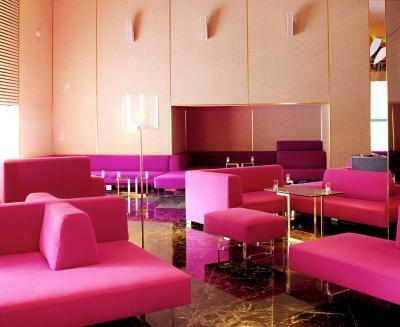 It is not anywhere near as nice as the Standard in Hollywood/Beverly Hills Area. 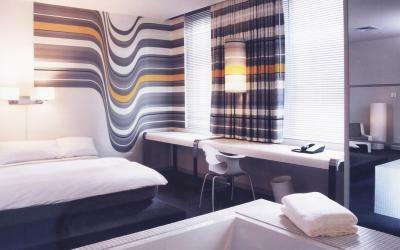 The beds were mattresses on the floor which I don’t mind because they made it look trendy but it was just uncomfortable. My room was so loud as well and not because of the party-goers. My room sat right over a main street and I could hear every thing from cars to people (I was up on the 7th floor). I will probably not be staying here again but if they upgraded, I would give it another chance because the staff was so great. 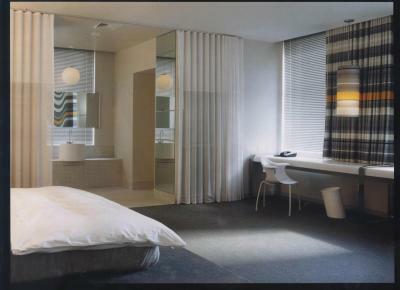 Id quite like to live at the Standard. It really is super chic, very very comfortable, uber laid back friendly staff, super restaurant and right in the best location in DTLA. 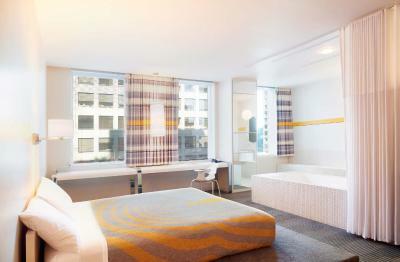 Fabulous beds, showers, groovy rooftop bar....oh its just great. Ordered chips and guacamole at the pool, and the guac seemed as if it had been sitting out for hours, not fresh, which seems absurd when the hotel says they pride themselves on fresh food. It’s not hard to make fresh guac, so made me worried about trying any other of their food offerings. It was creepy and dark and the elevators didn’t work. The rooms agave old creepy vibes that’s it. The worst attitude and response of any hospitality staff I have ever experienced in all my travels. Credit card was stolen and they would not honour booking or try in any way to assist and dumped us on the street in downtown L.A. at 11 pm. Never seen anything like this in my life.despite offering cash security, passport, company credit card etc. Appalling! Room was not serviced on third night of stay. Ironing board was broken. Toilet was running; I fixed it. Front desk and housekeeping did not answer phone on 4-5 occasions. 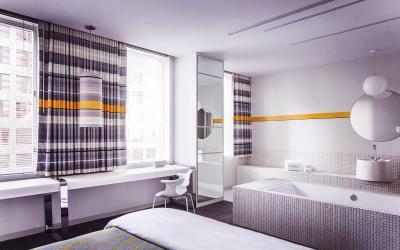 This is hotel for people who are not disciminatiing. I would never state at a The Standard again. Location and generally pleasant staff. The food is not good and is overpriced. the drinks are great, though. Rubbish showers. Bed on a plinth.